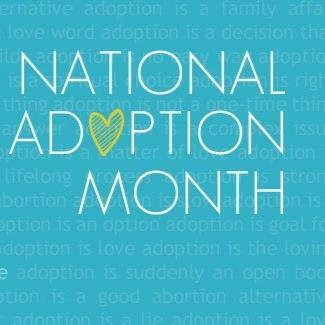 Last year I did a series of posts for National Adoption Month. This year I kind of regretted not saving my How To Choose An Agency series to dole out during November because I don’t have any ideas for new posts. What can I say, I’m only an occasional blogger. I thought instead I would share with you some of the best posts I’ve read lately. 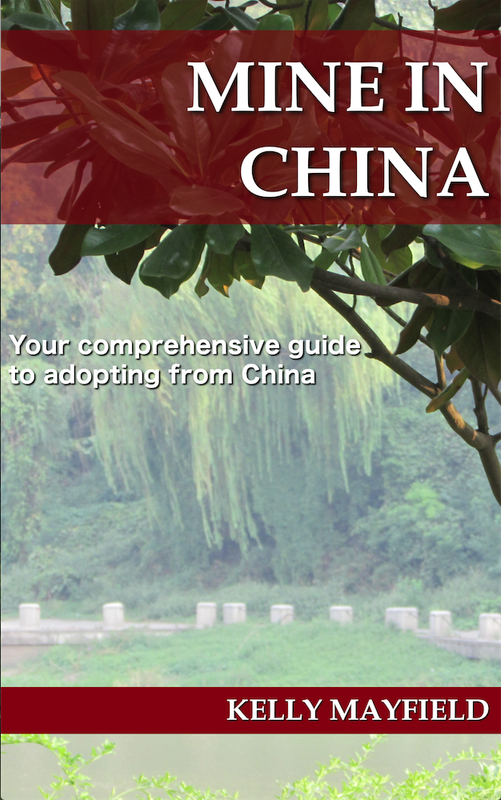 –Many people choose to adopt from China because it seems to be a well run program with little corruption. I know that is one of the reasons why we chose China. Brian Stuy has published his research on widespread corruption in the program which is important to read and acknowledge. –Amy Eldridge wrote on the Love Without Boundaries page about why parents in China abandon children with medical needs. –I love reading the blogs of families who are in the adoption process and I found Mom of 4 Boys blog when she linked to my blog. I was so excited to hear that they are adopting an “older” boy but I especially loved how her youngest son started a campaign for them to adopt a brother for him. He even had a name all picked out. I love it! Sounds just like my house. –If you remember, I shared some of my struggles with how to view Leo’s birth parents and the role God plays in adoption. I ran across this post from Mommy Means It which I think better explains the concerns I have with saying that God planned for Leo to be our child. A good discussion in the comments too. We need to remember that all adoptees will process things differently and we need to take our cues from our child and not assume that they will feel a certain way about their adoption. –I followed along as the Munn family raced to adopt Michael in a few shorts weeks before he turned 14 and was no longer eligible to be adopted. There is a great article on how Michael is running the Marine Corps Marathan with the help of a guide less than six months after being a US citizen and part of the Munn family. –I’ve been reading Peter Hessler’s Oracle Bones which is difficult to describe since it’s such a hodgepodge of China. But it’s fascinating and hard for me to put down, so go read it. Anyway, Hessler spends a lot of time talking about the Uighurs, which are an ethnic minority who used to be an independent nation but were taken over by China. They are generally persecuted, and in fact, China canceled Ramadan this year in the Xinjiang province. I found this photo essay in the Atlantic that put a face on this group of people. –You know that Family Preservation is near and dear to my heart. As I’ve been reading through all of the National Adoption Month posts that come through my reader I am glad to see more people posting about family preservation. Love Without Boundaries is raising funds to provide cleft bottles and information on feeding a cleft-affected infant to families in hospitals. Hopefully if families are educated about cleft care and know that they have options for low cost treatment then they will be able to stay with their family. Most people will never adopt a child, but anyone can help families stay together. A donation of only $3 will provide a family with the necessary bottle for their child’s health and survival. Please consider donating to this important project! –I tend to save up the adoption podcasts from Creating A Family to listen to on road trips so I haven’t listened to this one yet, but I am really looking forward to hearing Growing Up Black In A White Family. Listening to the experience of adult adoptees is so important for adoptive parents. –And in case you’ve been really considering adoption and National Adoption Month is the last little push you need to take that leap of faith, I’d like to mention that there are more than ONE HUNDRED waiting children from China on my agency’s photolisting right now. Mind-boggling isn’t it? Over 100 kids just with one agency in one country program. This entry was posted in Uncategorized and tagged Adoption Resources, International Adoption, National Adoption Month on November 4, 2014 by minefam.